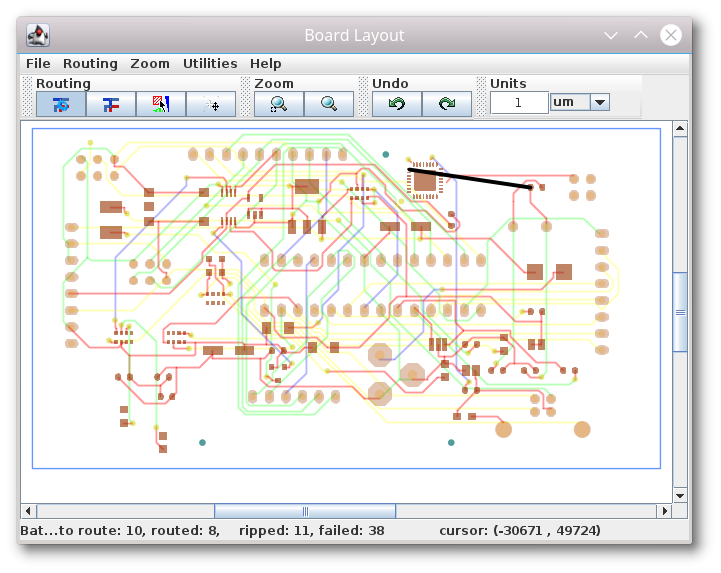 is a routing software intended but not limited for Printed Circuit Boards (PCB). By using the standard Specctra or Electra DSN interface it works together with numerous CAD tools including the LayoutEditor, KiCad and Eagle. It imports DSN-files generated by the Specctra interface and exports Specctra session files. FreeRouting was developed in 2004 by Alfons Wirtz. He stopped the development in 2008 and published the source code under the GPL in 2014. From 2015 FreeRouting is included in the LayoutEditor packages and its source code is maintained by its team. The newest source code, manual and all other related information can be found on this web page.